NOTE: If you are placing this order as an FBA order please review the FBA Guide available on our home page at: www.koleimports.com website on the FBA Services banner. 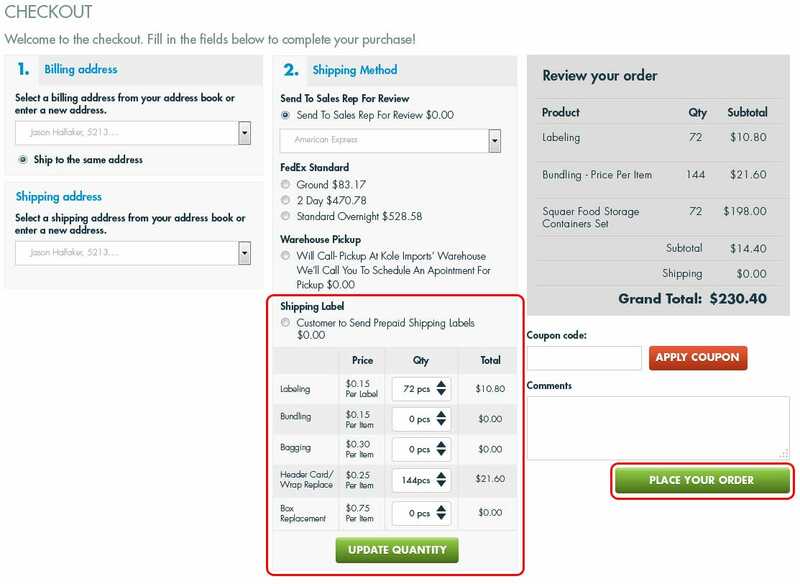 If you need any other Prep Services as shown in the highlighted box in Figure 1, select the type service that applies and select the appropriate quantity from your order. Complete all prep services that apply to your needs. Once you have entered all prep services select “Update Quantity” button so the prep services fees will be added to your order total. If needed please enter any questions or additional directions in the Comments box.